Paige Slyman is consistently and quickly selling homes for clients just like you! 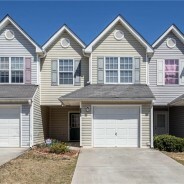 Check out our recently sold listings and leased homes here! End unit boasts over $45k in renovations. No other townhome comes close! Totally redesigned custom kitchen. Upgraded: Kitchen cabinets, backsplash, glass doors, cook-tops, appliances, flooring, trim, light fixtures, paint, etc. 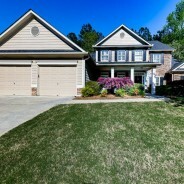 Hardwoods entire main, steps, landings, master & guest bedroom in full finished basement. 2 large bedrooms upstairs. Each features trey ceilings and separate full baths. Location. Location. Location in the heart of historic Vinings. Walk to entertainment, dining, shopping and SO much more! Tons of guest parking. Welcome home! Your home in move-in condition awaits you! Updat es galore. Open & flowing floor plan. Formal dining, living and family rooms. Breakfast bar is a nice upgrade. Laundry up near the bedrooms is a plus. Relax on the large, private deck on cool summer evenings. Full finished basement gives plenty of room for 4th bedroom plus media room. Nothing in the subdivision stays on the market long! Welcome to your new home! 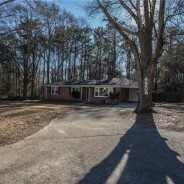 Low maintenance vinyl sided ranch on a very private and wooded lot. 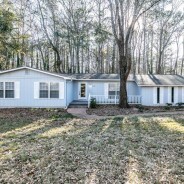 Raised ranch on fully finished partial basement with 3rd full bath. Perfect for 4th bedroom, media room or man cave. 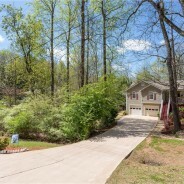 Walking trails to Lake Lanier and public boat launch. Home is very clean. Storage shed remains. Move-in Ready. 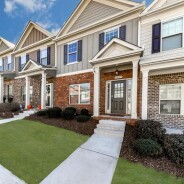 3 Year old townhome in the perfect location that is convenient to everything: Shopping, entertainment, dining, schools, etc. Nice & quiet living with no maintenance. Plenty of guest parking. Nothing in the subdivision lasts long. Do no miss your opportunity. Call today for easy appointment. Awesome renovated basement rancher. Very hard to find floor plan. New: Carpets, Hardwoods, Granite, Kitchen Cabinets, Fixtures, Roof, Deck, Interior and Exterior Paint..Too many to list...Will not last! Full unfinished basement provides tons of storage and lots of opportunity for expansion (media room, bedrooms, game room, etc). Location, Location, Location! 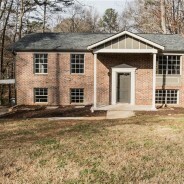 Total renovation, move-in ready, 4 bedroom, possible 5th bedroom, or use as 2nd family room/media room/play room, etc. Awesome, private extra large backyard with creek. Location, location location. Will not last!